I've recently relocated back to Boise after seven years away and I was excited to see how things had changed in the local wine industry. The first place that I discovered was a little wine co-op called the 44th Street Wineries Cooperative. Within the walls of this old warehouse reside three of Idaho’s newest and most exciting wineries: Coiled, Telaya and Cinder. I know two of the tenants of the 44th Street Wineries Cooperative as a good friend of mine used to be the assistant winemaker at Cinder and I had met the proprietor of Telaya about a year and a half ago at a wine event in Seattle, so I was definitely excited to catch up with them, and see what the deal was with Coiled. As a graphic design artist, their labels immediately caught my attention. To understand the snake’s scales design that adorns their bottles, maybe a little history lesson is in order. Coiled is the most recent venture by winemaker Leslie Preston, named after the Snake River, which twists, turns and coils through the southwestern valley of Idaho. Preston is a Boise native that first discovered a love for wine when she was studying abroad in France, and it was there that she began to experience the true joy that is food and wine pairings. 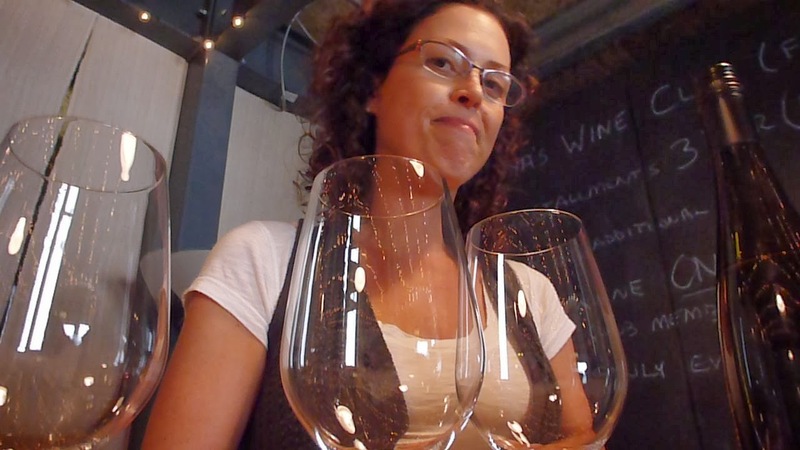 Leslie realized that French literature and academia wasn't her true calling while teaching French at UC Davis where she had several students that were enrolled in the oenology and viticulture program. After a few more years in academia, Preston left UC Davis with her M.S. in oenology. Upon graduation Leslie worked for Clos Du Bois in Sonoma, and Saintsbury in Carneros before landing her dream job at Napa Valley staple, Stags’ Leap Winery as their oenologist with oversight of the white wine program. It was at Stags’ Leap that Leslie was able to refine her skills in winemaking, though she never forgot about her Idaho roots. During a Rhone Rangers tasting in San Francisco, Leslie had the opportunity to try what was then the most recent releases from Sawtooth Winery, as they were pouring just a few tables down from her. She was really intrigued and impressed by the unique quality of the wines and above all else, the idea of wines expressing an Idaho terroir. During one of her next visits back home, she met up with Sawtooth’s founder, Charles Pintler, to talk more about the resurgence of the Idaho wine industry and she also negotiated for some Syrah from Pintler’s estate vineyard, which she then took back with her to Napa for production. This was in 2006, and for six years, after leaving Stags’ Leap to spend more time with her new family, Preston would commute back and forth between California and Idaho, shuttling grapes all due to her excitement for Idaho’s potential to make truly unique, terroir driven wines. In 2012, after months of conversation and deliberation, Preston, her husband and their children made the move Boise. If Coiled is just the beginning of the next generation for Idaho wines, we are all in for quite the treat!